Do you recall the last time you acquired a new pair of shoes? They might have been stiff to start with, but after a slight wear, they became more comfortable, with a remarkably softer ride and better grip. Well, you may not be aware of this, but the similar theory applies to the car tires as well. Just like a new pair of running shoes, you need to “break in” your new tires for the excellent performance. Therefore, when you buy new tires, it is a brilliant idea to take it easy for some time. Why Do You Need To Break In Your Tires? Auto experts highly advise that motorists should allow their new tires to undergo a certain breaking-in period. The primary reason is to let all materials and compounds which are used in the construction of the tire to gel together and begin working together. As the natural wear takes place under the dynamics and load of your particular car, the compounds and fibers will settle into place, and the tire will then begin to function efficiently. When you start to drive on new tires for the first time, even if they’re similar to the ones you’re replacing, you may notice that they respond slowly. It’s because the tread is pretty stiff and has not had an opportunity to wear into a surface pattern. If we think of tires as running shoes for our vehicles, it makes a lot of sense that a shoe needs to mold to our exact foot type and our body weight and even our walking pattern. 1. Easy driving for first 500 miles -During manufacturing, the manufacturers coat tires with a release lubricant to stop them from sticking to their molds after curing process. Some of the lubricant remains on the tires’ surface, and until it fully wears away, it can minimize traction. Nearly 500 miles of smooth driving (cornering, braking, accelerating) will let a lubricant to wear out safely and entirely. Also, tires comprise of many layers of materials including fabric, steel, and rubber. Giving your new tire enough time to break in will let these distinct components to begin working together, delivering their usual ride quality and optimum performance. 2. Your new tires may feel different -If you have just replaced your tires, it is probably because the old ones had shallow treads remaining. Tires with shallow treads always tend to respond a bit faster, since there are fewer treads which need to flex during quick turns and cornering. Tires with deeper treads tend to flex or “squirm” a bit more -so they may feel somewhat less responsive than the old tires, even if you replaced the old set with the exact brand and model. There’s usually a lot of debate and discussion on this topic, and some may even consider the breaking-in period for tires as a myth of sorts. But, with the facts we’ve outlined above, it makes sense to adopt a break in period – this is the reason many tire experts will recommend you do it. After all, what is a few careful kilometers initially when you have the potential to gain much higher performance and wear from your tires in the long run? Therefore, while we know you are very excited to get out there and put your new tires to the test, it will be wise to take it pretty easy for the first few weeks and allow the tires break in naturally. Note: Be careful when exploring the potentials of your new tires. 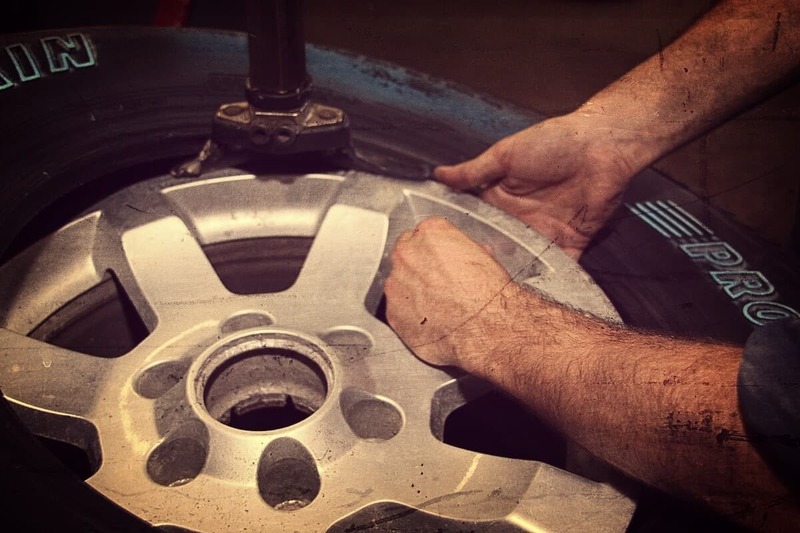 Remember that each tire needs a 500-miles break-in period for maximum performance.